Well, for starters, I think that our L400 Delica is one of the coolest cars ever. Think about it. It’s a very capable 4WD van with heaps of storage space. It boggles the mind why these types of vehicles were never sold locally in countries like Australia, Canada and the U.S.A which have a proud history of road trips, camping and outdoor adventures. The Mitsubishi Delica was only ever sold to the Japanese market and was massively popular there too, but thankfully this hasn’t stopped thousands from being sold through the grey market to countries outside of Japan. 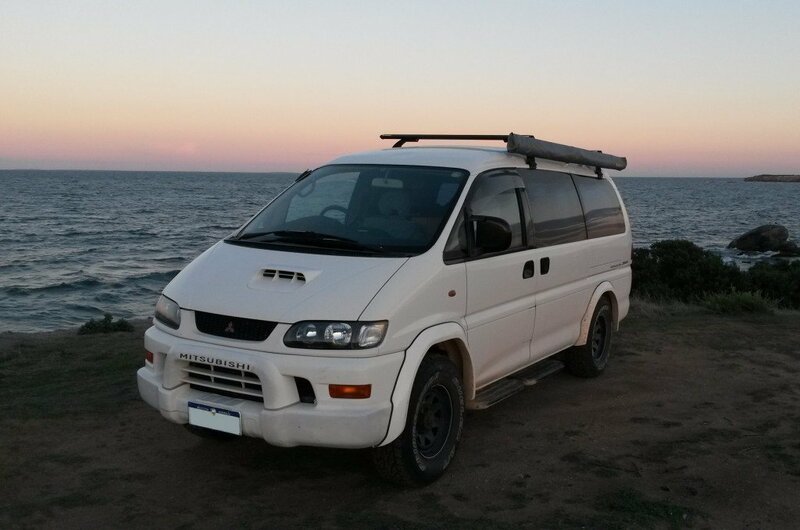 Our Delica is a 1998 ‘Series 2’ L400 Spacegear in a long wheel base, high roof variation. This means it has had a mild facelift and some basic mechanical refinement compared to the ‘Series 1‘ and is the successor to the Delica L300, another cult-classic 4WD van from Mitsubishi. 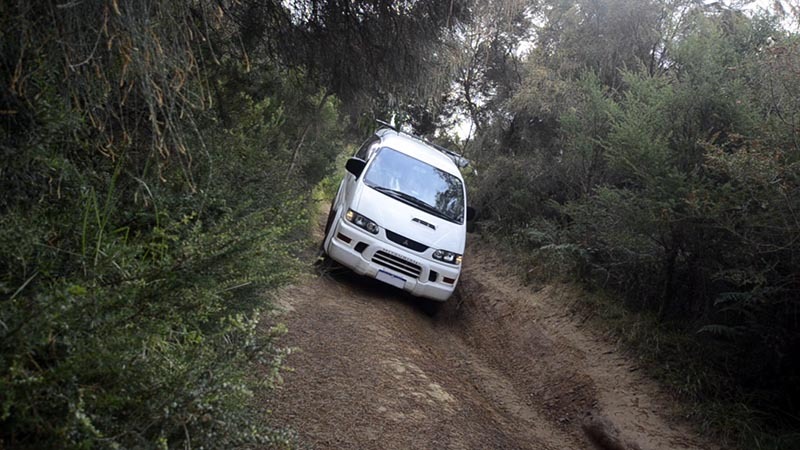 The engine in our Delica is a 2.8L intercooled turbo diesel with an automatic transmission and full high/low range 4WD. Another less-common option available in Australia is the L400 Delica with a V6 3L petrol (gasoline) engine. Essentially it is a mixture of Mitsubishi Triton and Pajero engine, components, drive line and chassis with a van body. Both of these vehicles are well known to be highly capable and reliable 4WD vehicles. Most of the parts are compatible to the point that the service manual for either vehicle will be accurate enough to follow for most servicing and repairs on similar era Delicas. It boggles the mind why these types of vehicles were never sold locally in countries like Australia, Canada and the U.S.A which have a proud history of road trips, camping and outback excursions. 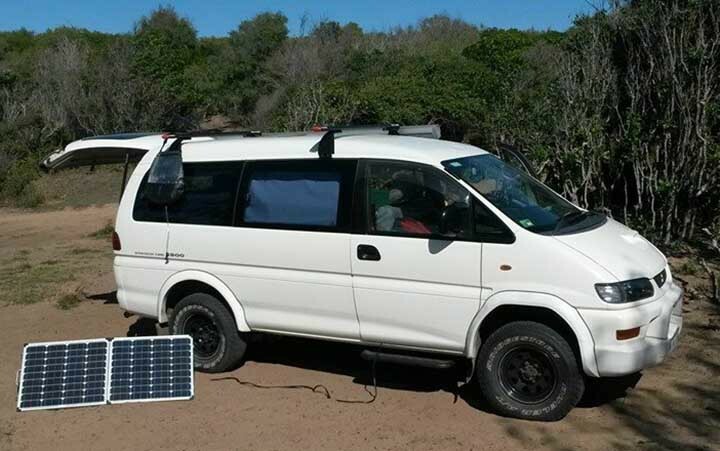 Custom aluminium roof rack for solar panels, recovery tracks and rear 36W LED flood light/reverse light. In order to be Comfortably Lost, it is critical to have a reliable and well-maintained vehicle. We have done as much as possible to prevent breakdown or any other dramas, however we also accept that breakdowns are a fact of life. In order to resolve any potential mechanical mishaps and carry out preventative maintenance, we’ll also be carrying a core selection of tools and spare parts. On December 5, 2015 our Delica was sold to new owners who will be taking it for many more adventures.